The RCN has announced the candidates who will contest the election to become the college’s president and deputy president. Members of the union will be able to vote for their preferred candidate for both roles in a postal ballot. Sue Hill - workforce transformation lead at Health Education England Wessex since 2017, with a background in district and general practice nursing. Joined the RCN in 1983 and sits on the steering committee of its District Nursing Forum. Has pledged to influence the development of a culture that values the contribution of every nurse. Celia Manson - self-employed independent nurse adviser since 2008, focusing on pain and palliative care. Joined the RCN in 1974 and has been secretary of West Kent and Medway branch since 2016. Cites current RCN president Cecilia Akrisie Anim, author and ex-nurse Christie Watson and England football manager Gareth Southgate as inspirations to stand for election. Marion Mason - has worked in occupational health in the NHS and private sector. Spent the past 25 years in senior roles at several nursing homes. Currently an RCN steward. Has a background in local and national politics. Wants the RCN to be more proactive. Anne Marie Rafferty - professor of nursing policy at Florence Nightingale Faculty of Nursing, Midwifery and Palliative Care, King’s College London, since 2011. She is a member of the RCN’s Safe Staffing Expert Reference Group. Wants the student bursary reinstated, as well as more investment in continuing professional development. Pledges to improve the quality of the practice environment. Robert Sowney - independent healthcare consultant and band 5 nurse at palliative care charity Northern Ireland Hospice. Joined the RCN in 1995. Led implementation of the RCN Foundation in 2010. Pledges to be the voice of nurses and healthcare assistants, and to promote equality of opportunity, respect, diversity and inclusion. Rod Thomson - RCN deputy president since 2015, and director of public health at Shropshire Council since 2013. Background in mental health, acute and community care. Joined the RCN in 1987. Chair of the college’s congress from 2010 to 2014. Pledges to campaign for a fair pay settlement, safe staffing and restoration of the student bursary. Liz Brasnett - volunteer nurse for Wye Valley NHS Trust. Background in school nursing, health visiting and practice education. Joined the RCN in 2000, elected board member for Hertfordshire in 2017. Pledges to listen, support and represent nurses and healthcare assistants, regardless of where they are employed. Yvonne Coghill - director of NHS England’s Workforce Race Equality Standard since 2015. Background in acute, mental health and primary care nursing. Equality and diversity lead for RCN in 2015. Awarded RCN Fellowship in 2018. Contributor to Nursing Standard opinion column since 2012. Keen to be a role model for black and minority ethnic nurses. Catherine Kelsey - nurse lecturer at University of Bradford since 2016. Background in nurse education. Received Queen’s Nurse title from Queen’s Nursing Institute in 2012. Joined the RCN in 1990 and is a board member of the Yorkshire and Humber branch. Pledges to revitalise the health and well-being of the workforce and fight for safe staffing. Paul Watson - site manager at Northern Lincolnshire and Goole NHS Foundation Trust since 2018. Background in nursing management, sexual health and patient safety. Joined the RCN in 1989 and is a board member of the Yorkshire and Humber branch. Pledges to ensure grassroots members have their voice heard at every level of the organisation. Jeni Watts - health Visitor at Virgin Care since 2013. Background in adult and children’s nursing. RCN student officer in 1994, and the college’s Devon branch executive member since 2016. Co-campaign coordinator of We Are Global Nurses. Pledges to campaign for RCN to re-join International Council of Nurses to support pay, image and recruitment issues worldwide. Sue Woodward - head of clinical education at Florence Nightingale Faculty of Nursing, Midwifery and Palliative Care, King’s College London, since 2016. Background in nurse education and neuroscience. Chair of RCN Neurosciences Forum steering committee since 2012. Member of RCN Fellows Coordinating Committee. Pledges to strengthen college’s education provision and make it free for all members. 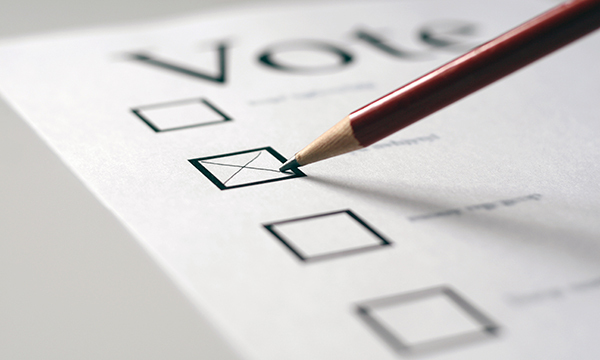 The postal ballot for both roles will run from 11 October to 14 November, with the winners announced as soon as possible after the closing date. The successful pair will hold office for two years, from 1 January 2019 to 31 December 2020. Outgoing RCN president Cecilia Akrisie Anim, who has been in post since 2014, said: ‘RCN presidents have embodied the ambition, vision and values of members for more than a century. RCN members have until 5pm on 16 August to make objections about the eligibility of the candidates.